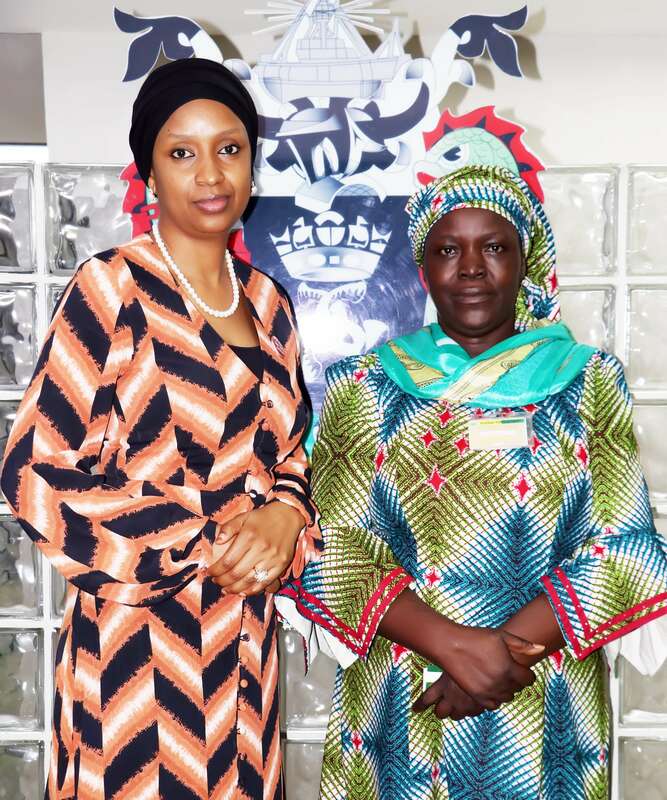 The Managing Director, Nigerian Ports Authority (NPA), Hadiza Bala Usman (left) and the Director General, Administrative Staff College of Nigeria (ASCON). Cecilia Gayya (right), who paid her a courtesy visit at the NPA Corporate Headquarters, Marina, Lagos, today. 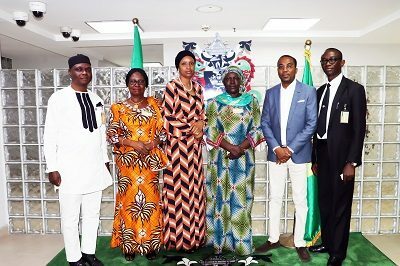 The Managing Director of the Nigerian Ports Authority (NPA), Hadiza Bala Usman (3rd left), the Director General, Administrative Staff College of Nigeria (ASCON). Cecilia Gayya ( 4th left), the Executive Director, Finance and Administration (NPA), Mohammed Bello-Koko (2nd right), the Director of Studies (ASCON), Margaret Oshonebo, a Director with ASCON, Effiok Akpan (left) and the Personal Assistant to the DG, ASCON, Abraham Odafen-Dominic, after a courtesy call to the MD at the NPA Corporate Headquarters, Marina, Lagos, today.